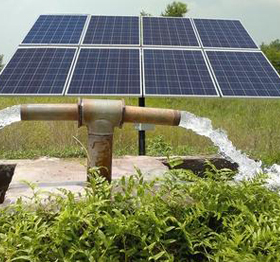 Solar powered water pumps can definitely prove to be useful in a number of ways. One can make use of the solar water pump system for agricultural purposes, commercial purposes, and residential purposes too. The submersible water pumps we deal in are highly efficient. Since they are powered by solar energy, therefore, one does not have to depend on the main source of electricity. We have a wide range of solar water pumps, having various specifications in terms of power consumption, operating voltage, horsepower generated, etc. You can place your order for solar water pump system with us anytime.